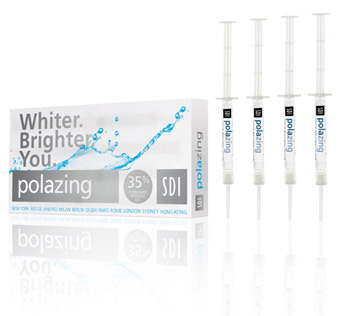 Pola Paint is an easy to use paint-on tooth whitening gel. Whilst retracting the lips, apply a thin layer of Pola Paint gel to the front surface of the teeth, re-loading brush as required. After application, do not let your lips touch your teeth for 30 seconds to allow the gel to form a tacky film. 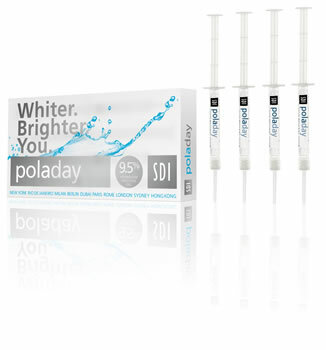 Leave the Pola Paint gel on teeth for 30 minutes. Do not eat or drink during this time frame to maximize results. At the end of 30 minutes, remove the Pola Paint gel by brushing with a tooth brush. 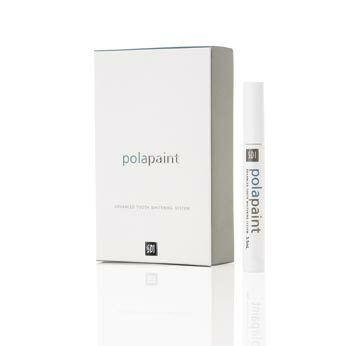 For best results, one of the daily treatments should be applied before going to bed, allowing the pola paint to stay on overnight. When not in use, firmly replace cap to prevent gel from drying out. pola paint should not be used by patients with known allergies or chemical sensitivity to peroxides, glycerol etc. 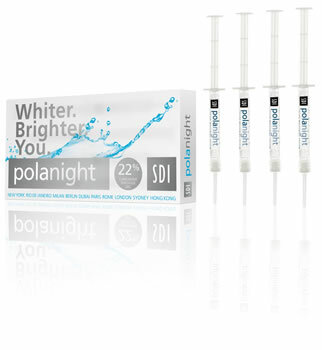 Do not smoke during or immediately after the whitening process. Keep product away from heat and naked flame, as product is flammable. Not to be used by pregnant or lactating women or children under the age of 14 years. Discard pola paint after treatment has been completed. First Aid Skin (contact): pola paint may be irritating to skin. Wash with running water if contact occurs. If any soft oral tissue irritation occurs, remove gel, rinse mouth with salty water or sodium bicarbonate solution and drink milk. Discontinue treatment and consult your dentist if there is persisting sensitivity or any reaction to the gel. Eyes (contact): Open eye and flush thoroughly with water for 15 minutes. Seek medical attention. DO NOT STORE IN CLOTHING POCKETS.